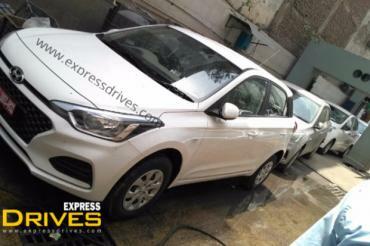 Hyundai has started dispatching CVT variants of the Elite i20 to dealerships. The new gearbox will be offered on the petrol version in Magna and Asta trims. 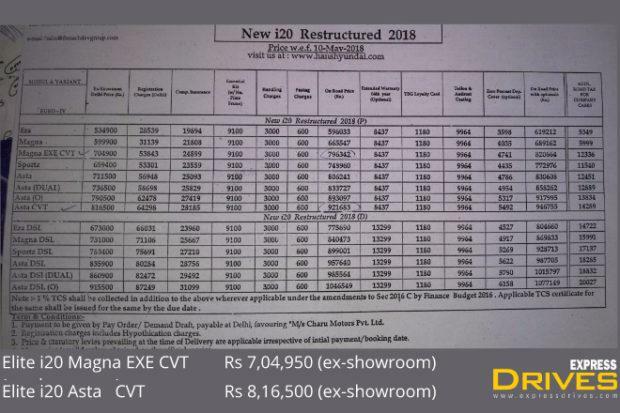 While, Hyundai is yet to formally announce the launch, a leaked price list indicates that the variants will be priced at Rs. 7.04 lakh and Rs. 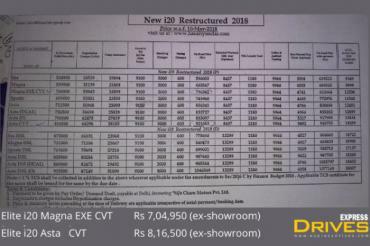 8.16 lakh (ex-showroom, Delhi) respectively. Dealerships have reportedly started accepting bookings for the CVT variants. 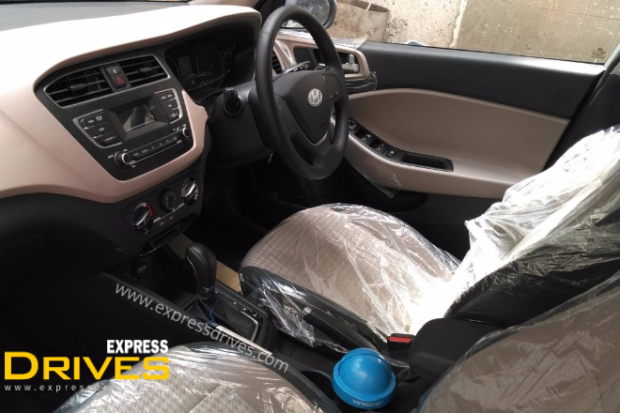 The Elite i20 Asta CVT is expected to get features like fog lamps, rear parking sensors and camera, alloy wheels, dual-tone interiors, 7.0-inch touchscreen infotainment system with Apple CarPlay, Android Auto and MirrorLink support and Arkamys audio system, multi-functional steering wheel, voice recognition, automatic climate control with rear AC vents among others. The Magna CVT misses out on some of these features, however safety equipment like ABS with EBD and dual front airbags are likely to be offered as standard. Media reports suggest that the Elite i20 CVT will be offered with the 1.2-litre, 4-cylinder petrol engine that produces 82 BHP @ 6,000 rpm and 115 Nm @ 4,000 rpm. Will Manual Scooters ever return?